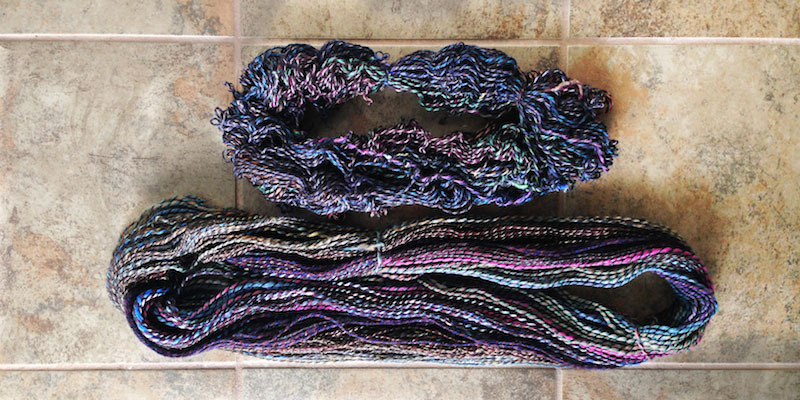 Do twisted, curling handspun skeins make you break out into a cold sweat? I’ve often seen spinners pull a newly plied skein off a niddy-noddy and stare in horror as it bounces into a corkscrew curl. Do not fret! It may all come out in the wash. 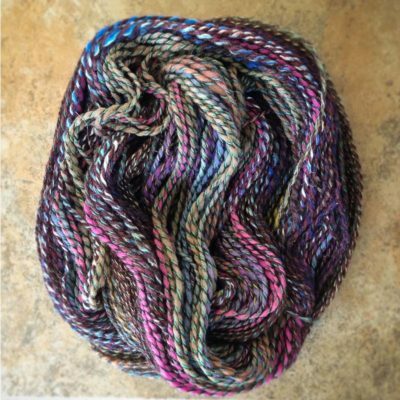 Here are three paths to achieving balanced yarn. Did you ply in the correct direction? To quickly check this, pinch about two inches of yarn between your right and left hands and use your fingers to twist the yarn in the opposite direction it was plied. Does the little section start to look softer and more balanced? If yes, you can reply this yarn in the opposite direction slowly. Just wind it into a ball or place the skein on a swift, attach one end to the leader, and turn the wheel or spindle in the correct direction. Did the singles sit on a bobbin for a while? The amount of twist in singles left on a bobbin weeks ago has not changed, but it will appear less active. As soon as these singles get wet, the twist will reawaken. This means that if you ply for the correct amount of twist that is in the singles, the yarn will look overplied as it comes off the bobbin. Skeins made from leftover bits of singles often look over-plied until they have been washed. Photo: Kate Larson. Too much ply twist? This seemingly simple question is quite nuanced and the subject of much debate. Generally, twist creates strength but reduces loft. So, the perfect ply twist depends on what you are using your yarns to make. I often intentionally add a little extra ply twist. Balanced yarn can matter less than functional yarn. Here’s where washing and finishing come in. If a twisty skein was spun in the proper direction using stale singles, a simple wash should put things in order. I recently spun some skeins using small amounts of leftover singles. (Tutorial here.) I washed these skeins in warm-to-hot soapy water and rinsed in water that was the same temperature. Even though they looked overplied, it took only a little soap and water to reveal the balanced yarn. After washing, my scrap skein is happy and relaxed. Another finishing technique, fulling, can subdue the kink and curl in an intentionally overplied skein depending on the fiber and spinning style. For Fair Isle yarns, I often spin soft singles but add plenty of ply twist. I wash these yarns in hot water with a bit of soap, then rinse in cold water. This helps lock the twist in place, improving durability. Try a small sample and see what happens! 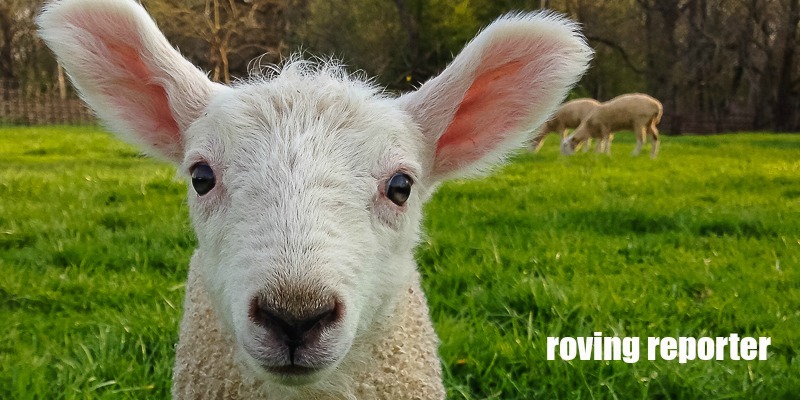 Learn more about washing and finishing your yarns. 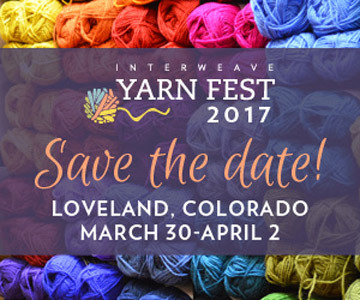 Space is still available in Kate’s Finishing School workshop at Interweave Yarn Fest in March. Purchase these products in our shop!